GNOME's latest Linux desktop environment proves that it still has legs. 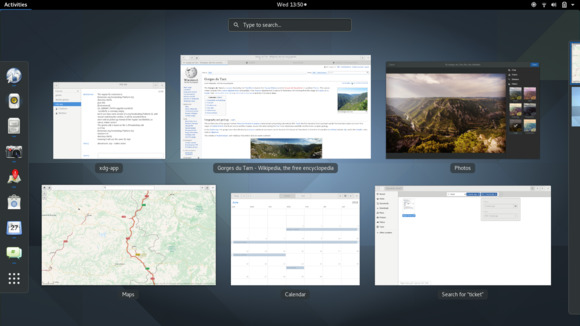 GNOME just released its GNOME 3.20 desktop environment for Linux, which is full of desktop polish and new technology. It came days after the KDE project released Plasma 5.6. While Ubuntu long ago switched to its own Unity desktop, GNOME has recently seen much more active development and continuous improvement. 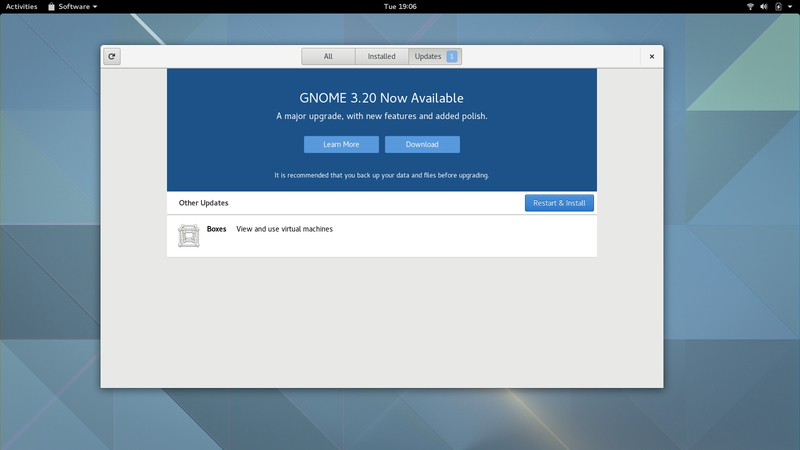 GNOME includes a “Software” application that handles application installation, software updates, and even hardware firmware upgrades. As of GNOME 3.20, the Software application can perform operating system upgrades, too. When it’s time to upgrade to the next major version of your Linux distribution, you should see a notification in the Software application, which will handle the upgrade for you without any other command-line tools. This means a better upgrade experience on Fedora and other Linux distributions that rely on GNOME. As Ubuntu is dumping the Ubuntu Software Center and switching to GNOME Software in Ubuntu 16.04, this feature may even make it to Ubuntu one day. The Software app now also includes application reviews, something that's sure to be appreciated by users. Linux distributions can now use GNOME’s Software application for major OS upgrades, too. The latest version of GNOME sees quite a few useful little improvements. The Photos app is no longer just a simple photo-viewer: It can now edit photos! Simple editing features like crop, rotate, color adjustment, picture enhancement, and filters are all present. Better yet, this editing is nondestructive, meaning any edits you make won’t alter the original photo. You’ll always be able to undo your edits and revert to the original state. The Files app has also seen some long-awaited polish. The search-filter experience has been revamped, the interface is faster, and the preferences dialog is simplified. Other little improvements include bigger thumbnails and a new zoom level. GNOME 3.20 also adds media controls to the notification area, right alongside notifications. Open it from the top bar and you’ll see the currently playing song and quick controls for pausing and resuming playback and switching between tracks. It works with a wide variety of media players, as it uses the MPRIS standard that many other desktop media players use. Keyboard shortcuts in GNOME’s applications are now easier to discover, with shortcut explanation windows integrated into many applications. You can access these from an application’s menus, or by pressing Ctrl+F1 or Ctrl+?. Other improvements include a spruced-up Polari IRC (Internet Relay Chat) client, a new font, a redesigned mouse and touchpad settings pane, and a Maps app that can now print directions. You can also choose which apps have permission to access location services. GNOME’s Photos application can connect to Google Photos, Facebook, and Flickr. GNOME 3.20 also offers a large number of improvements for running on Wayland, the next-generation graphical server technology that will replace the dated X.org server. “For the majority of users, Wayland now provides a usable day-to-day experience,” the GNOME project argues. But Wayland isn’t necessarily there yet, and even Fedora won’t be using Wayland by default in Fedora 24, its next release. 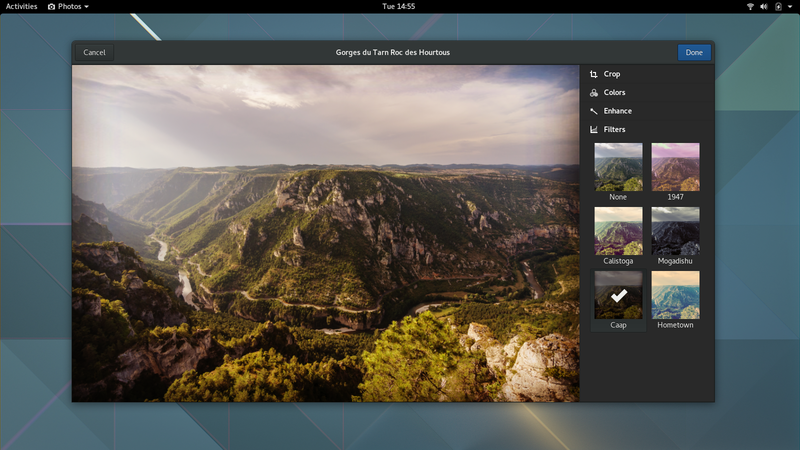 Screen sharing and Wacom graphics tablet support are still noticeably absent from the Wayland version of GNOME. It’s a shame GNOME 3 caught so much flak in its early days, as the latest release shows a lot of promise. While Ubuntu’s Unity desktop hasn’t changed much recently, GNOME keeps getting more refined and feature-rich every six months.